Discount Dumpster provides hauling services for many types of construction needs. 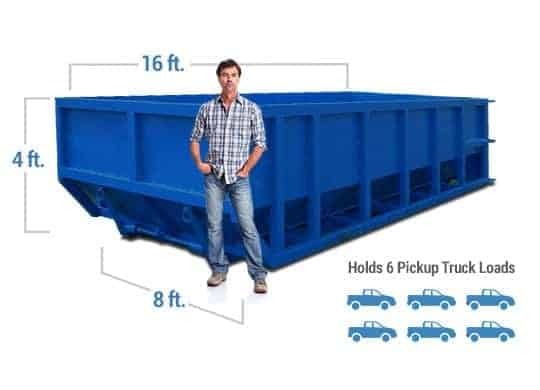 With an array of dumpster sizes we have the right size dumpster for your junk hauling Norman. The quickest and easiest way to understand which size dumpster you need is to visit our sizes page. There you will be able to visualize the right dumpster rental Norman OK that will fit your needs. First time renting a dumpster? We are happy to help and we want to make the process easy on you and your wallet. With a flat rate price across the board the price you are quoted is the price you will pay. When working with Discount Dumpster Rental Norman OK there are no hidden fees. Check out our reviews and see what our customers have to say. The 10 yard dumpster is a weekend warriors best friend. Complete all your small tasks and use one dumpster for junk removal Midwest. The 15 yard dumpster is great for tight to reach spaces. Used for roofing material and the do it yourselfer this is the dumpster rental Midwest OK for you. The 20 yard dumpster provides maximum junk removal Norman needs and provides an easy access four foot siderail. Common for multi-room renovations around the home. The 30 yard dumpster is the most common seen dumpster in our fleet. 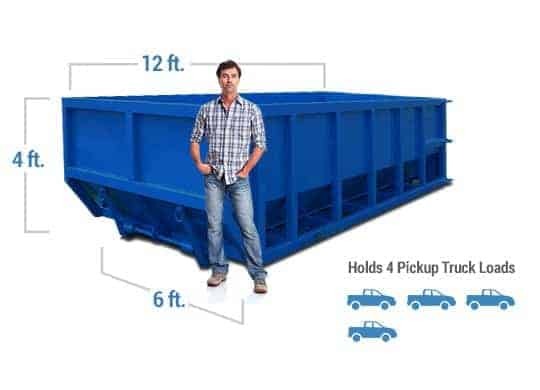 Used during full home remodels or fix and flips a 30 yard dumpster is ideal. The 40-yard dumpster is the largest dumpster we offer. With eight-foot siderails this dumpster rental Midwest OK is mainly used for a purge. Renting a dumpster is not complicated but we have created a simple three step process to rent the right size dumpster for every junk removal Norman needed. In order to provide you with an accurate quote we must understand where you need service and what size dumpster will work best. With a fleet from 10 cubic yards all the way up to 40 cubic yards we are here to help. By utilizing different roll off dumpster rental Midwest City OK yards we are able to return savings back to the customer. When renting a dumpster there are many different uses such as home cleanup, driveway repairs, roofing, landscaping, and much more. To make sure you get the best price for your junk removal Nomad call our educated staff.